Photo courtesy of Navy Pier Lots of changes are coming to Chicago's Navy Pier, making it more cultured and family-friendly. Navy Pier in Chicago is one of the biggest tourist attractions in the Midwest, and it’s undergoing some major changes. 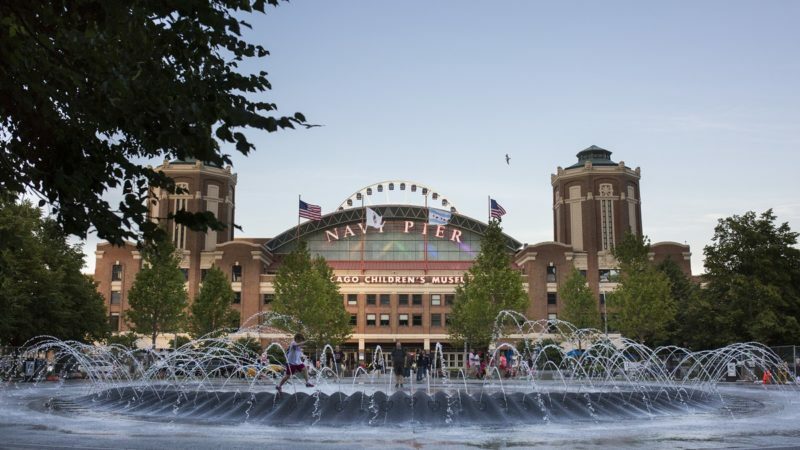 In recent years, locals have come to view Navy Pier as a tacky tourist trap and avoided it. Now, it’s becoming much more appealing thanks to added park space and cultural offerings. 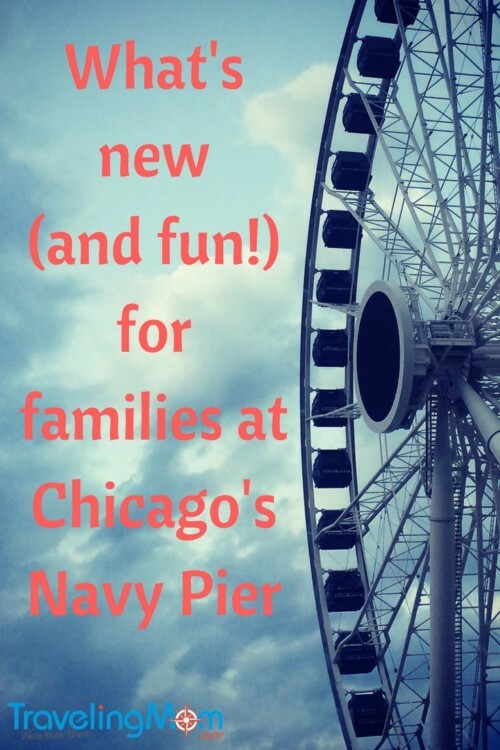 Suburban TravelingMom Jamie Bartosch, a Chicago native, spotlights some of the new features of Navy Pier. They’re things families will definitely want to check out. Lots of changes are coming to Chicago’s Navy Pier, making it more cultured and family-friendly. 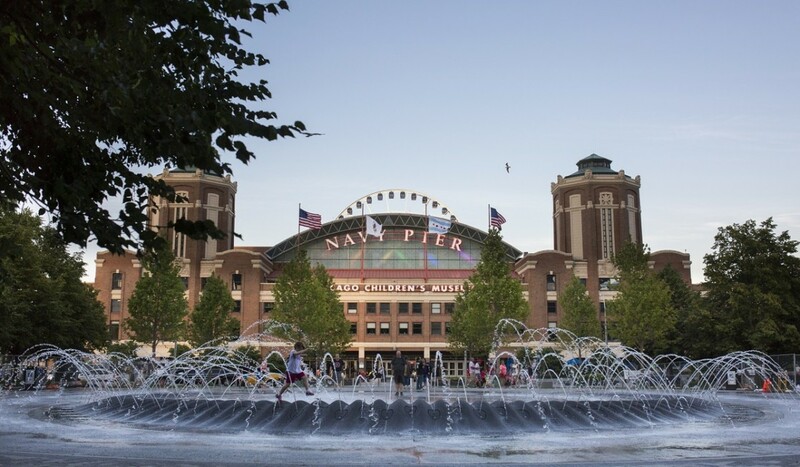 If you ask a Chicagoan what they think of Navy Pier, you’ll probably get an eye roll. The 101-landmark in a downtown pier which extends into Lake Michigan attracts 9 million visitors a year. Sure, it is one of the Midwest’s most popular tourist destinations. People love to walk along the pier, past shops and restaurants, and take in the gorgeous view of Lake Michigan and the Chicago skyline. Unfortunately, Navy Pier had slowly evolved into a tourist trap, full of uninspired restaurants and tacky souvenir shops. So far in 2017, Navy Pier has hosted things like the Rolling Stones art exhibition, a Chicago Blues Camp for kids, and illuminated see saws. In addition, hip businesses like George’s Music Room opened pop-up stores. And there’s now significantly more open park space and family-friendly programming. What’s next? Well, there’s even a new 240-room boutique hotel in the works. 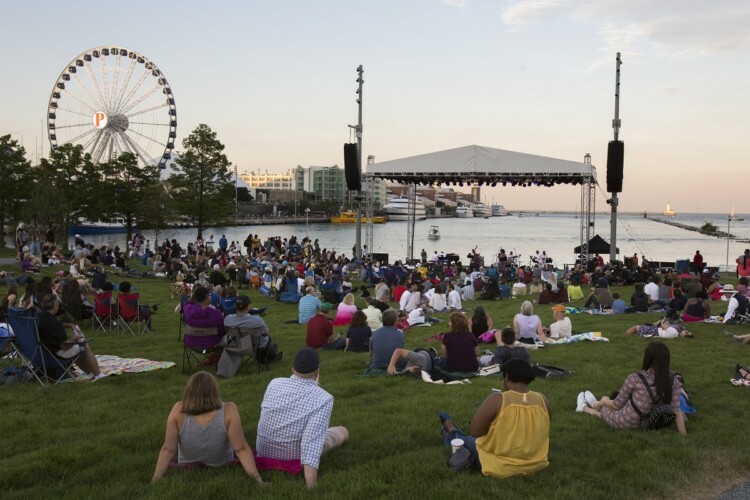 Polk Bros Park, on Navy Pier in Chicago, will have more family-friendly performances. The Chicago-based Polk Bros Foundation is plunking down some big money to make Navy Pier more family-friendly. They’re adding lots of trees, as well as a 13-acre green space for performances. The space, known as the Polk Bros Performance Lawns, which will have state-of-the-art lighting and sound. Those lawns now host free, family-friendly entertainment, including free movies (many water-themed, like “Jaws” or “Finding Dory,”) cultural dance concerts (everything from Latin to Native American), yoga classes, stand-up comedy shows and more. This summer, they had Wiggleworms, a children’s music program by the Old Town School of Folk Music. Parents of toddlers or kindergarten aged kids, definitely check the schedule for them. If they’re performing, go! They’re phenomenal. I’m a big Old Town School of Folk Music fan – and I promise you any Old Town performance will be enjoyable. 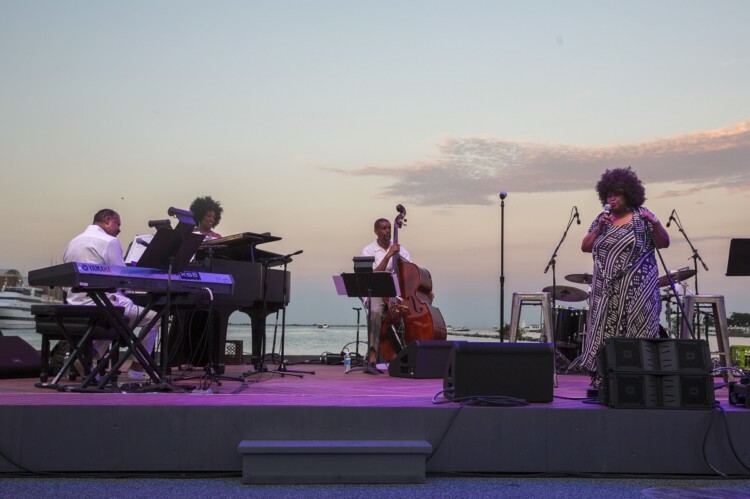 Live jazz performances are part of the new cultural offerings at Navy Pier in Chicago. A new, modern wall of concrete steps allows you to sit along the lake, chill, soak in the skyline scenery, and take excellent selfies. A constantly changing display of art installations is bringing some culture to Navy Pier. While the illuminated see-saws are now gone (darn! ), they currently have something fun called “A retrospective of the pathway.” These are stainless steel tanks that “erupt” with foamy bubbles every day at noon (and also at 4 p.m. on weekends). 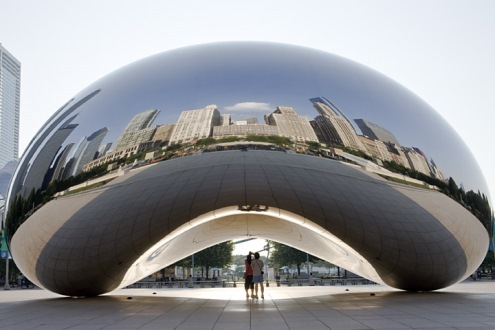 A cool, contemporary art fair, EXPO CHICAGO, is featured this fall. 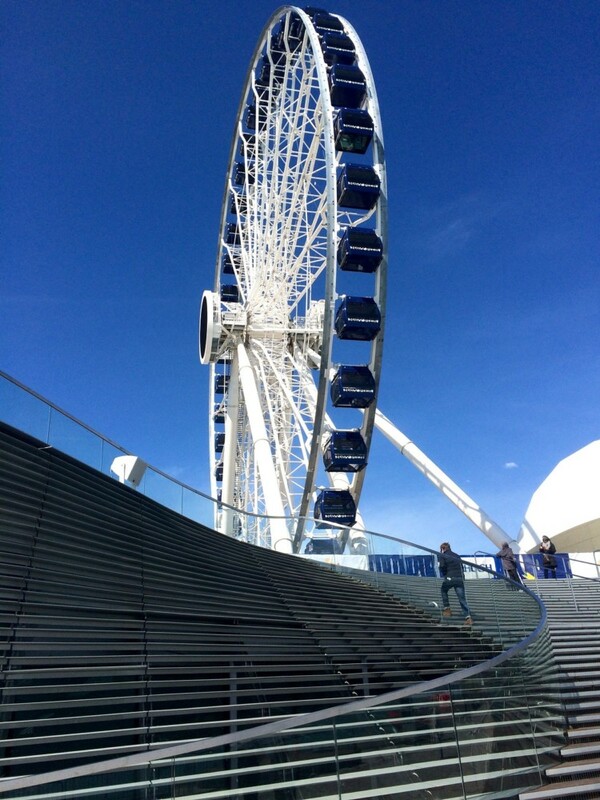 Navy Pier in Chicago has a new, bigger Centennial Wheel. Crowds are lining up for a ride on the new, bigger Centennial Wheel. 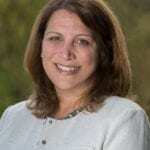 Read more details in this post by EmptyNest TravelingMom Cindy Richards. Boat rides are really popular at Navy Pier, especially the Seadog Chicago speed boats, which have an option that is more like a thrill ride than a tranquil cruise. Starting next year, Odyssey Chicago will feature a dinner cruise in a glass-enclosed boat. This cruise will start at Navy Pier and wind through the downtown skyscrapers on the Chicago River. 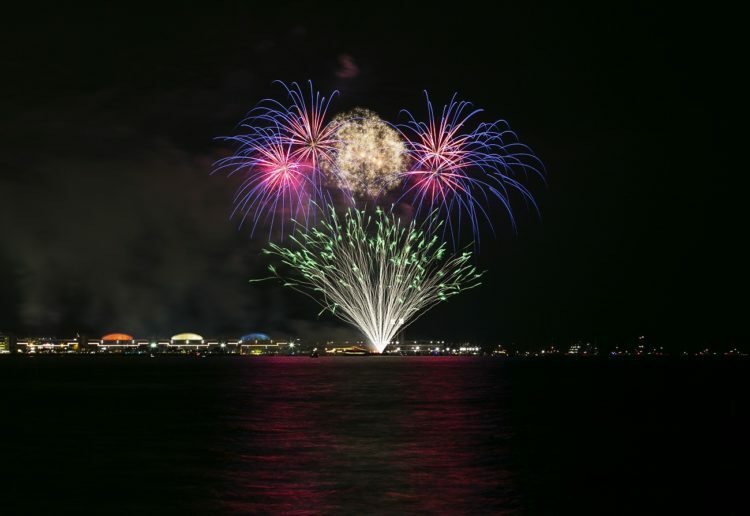 Free fireworks shows, synchronized to music, are held at 9:30 p.m. every Wednesday and at 10:15 p.m. every Saturday through Labor Day. The fireworks with the skyline backdrop are truly special to witness! Chicago has world-class theater, including Navy Pier’s “Chicago Shakes” stages. But there’s always room for more! A really cool, new, crescent-shaped, outdoor stage, The Yard at Chicago Shakespeare, debuted this fall. The unique, year-round theater that can be reconfigured to many shapes and sizes. It holds anywhere from 150-850 people. A water taxi is a scenic and inexpensive way to get from Union Station to Navy Pier in Chicago. For teens, guided bicycle or Segway tours are fun. They’re offered by Bike and Roll Chicago for ages 12 and up, who weigh more than 100 pounds. There are also a variety of boat rides. You can go on cruises to see architecture, the nightly fireworks displays, or just sightseeing. Some even include lunch or dinner. However, a less expensive way to take a scenic boat ride is to take the water taxi from Navy Pier to Union Station and back. You can also ride to Chinatown, or Michigan Avenue (for shopping on the Mag Mile). One-way tickets are $5, all day passes are $9, or you can get a 10-ride pass and use it for the whole family ($20 for weekdays, $50 for weekends). 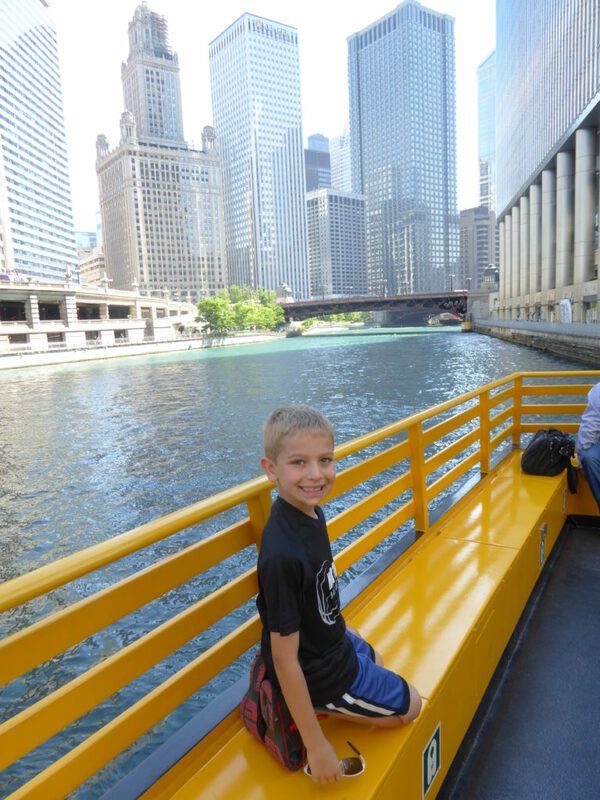 Read more about why I love traveling by Chicago Water Taxi here. Just keep in mind, the schedule becomes less frequent in the fall. And, for obvious reasons, the taxi doesn’t run in the winter. 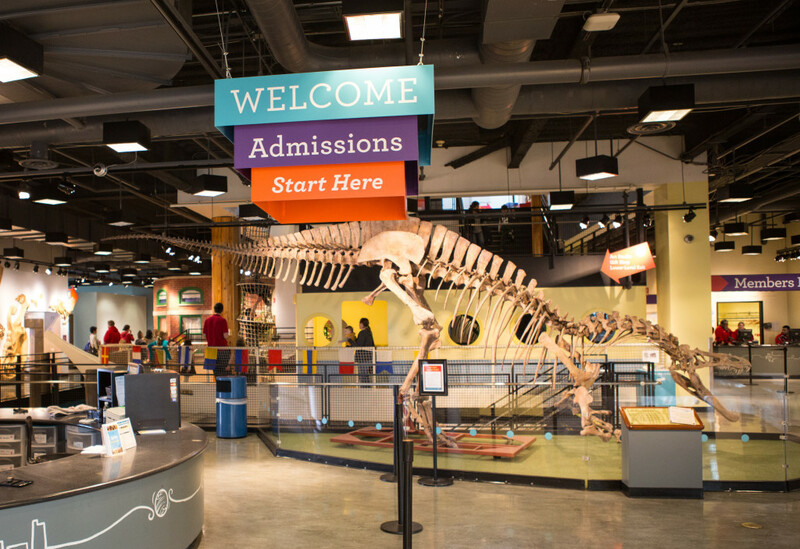 Photo courtesy of Adam Alexander Chicago Children’s Museum is a popular spot for families at Navy Pier.